One of the many important decisions to make when you’re getting married is choosing a wedding photographer. However choosing the photographer is one part of this decision, the other part is choosing a bridal photography style. While classic may mean different things to different people, generally speaking classic means replicating the style of photographs taken at weddings in the past, such as in a couple’s parents’ or even grandparents’ day. Classics are “classics” as they are simple but not ordinary and stand the test of time, which is why couples choose to go with this bridal photography style in the first place. Much like the classic style, artistic can mean different things to different people. While the classic style is about replicating photographs of the past, the artistic style is all about individuality. The artistic bridal photography style can involve experimenting with backgrounds, the actions of the couple in the photograph and using a bride’s veil to add depth. Lifestyle bridal photography isn’t limited to one definition some photographers define it as photography that reflects the personality of the happy couple, while others define it as candid, but approachable and relaxed. Either way, this style provides the opportunity for a couple to have relaxed individuality in their photos. Dramatic bridal photography lives up to its name by specifically focusing on the lighting in a photograph. Specific lighting, bright or dim, can amp up the dramatic factor in wedding photographs and help create a unique wedding album. Documentary bridal photography has increased in popularity in recent years. This is due to the “behind the scenes” element that it provides and its refreshing candid nature. 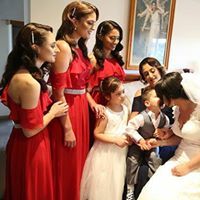 As well as the photos of the beautiful couple, their wedding and reception, this photography style can also show the process couples go through to get ready on their big day, and capture moments that wouldn’t be seen in the typical posed shots that people are used to seeing.